Recovering a Bricked Uconnect 8.4 after failed update. 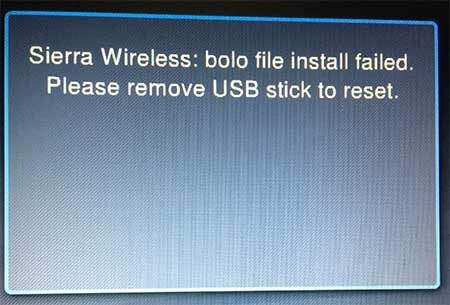 While attempting to install Uconnect Software Update “SIRI UPDATE FOR UCONNECT® 8.4A_RA3_16.13.13_MY13_&_M14” via a USB flash drive, I encountered the error “Sierra Wireless: bolo file install failed”. The update process went smoothly up until Unit number 10 of 11. 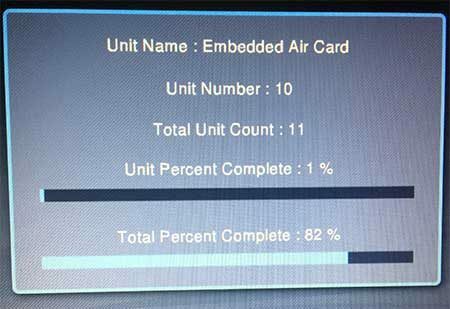 At step 10, Unit Name: Embedded Air Card, the process was stuck at 1%, and eventually timed out with the error “Sierra Wireless: bolo file install failed”. 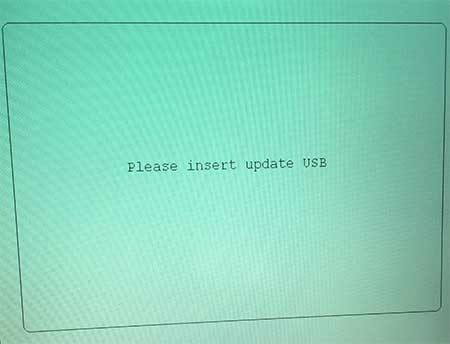 After the Failed Uconnect 8.4 Software Update, the update process would loop while the USB flash drive was inserted. When I removed the USB flash drive, I was constantly prompted to Please Insert Update USB. It appeared the failed Uconnect update had bricked my Uconnect 8.4. Note: It appears I must have a bad embedded air card, and this is why the updated failed to finish. At this point I simply wanted to get my Uconnect system back to partially functional order until I could get my vehicle in for service. The following process explains how I finally unBricked Uconnect 8.4, and successfully booted back into a functional Uconnect system. Turn Key to the Run Position. Insert update USB when prompted. 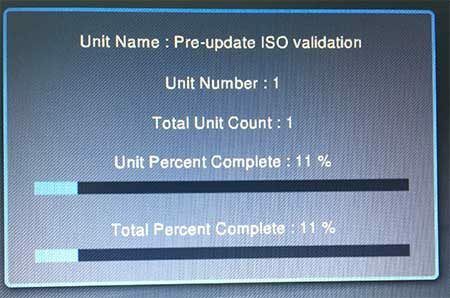 Remove USB Drive while Uconnect is checking the integrity of the ISO (during Pre-Update ISO validation). After this process, Uconnect successfully booted back up, and I was able to use Uconnect while waiting to schedule and get my vehicle in for service. This concludes how I recovered from a Bricked uConnect 8.4 after a failed update. Hope it helps you!